It’s hard to imagine that this guy has much of a case. It’s just a matter of time before he works out a plea deal. DETROIT — Standing before a federal judge, shackled at the ankles and speaking in barely audible tones, Nigerian terror suspect Umar Farouk Abdulmutallab faced a judge in his alleged attempt to blow up a Detroit-bound airliner on Christmas Day. 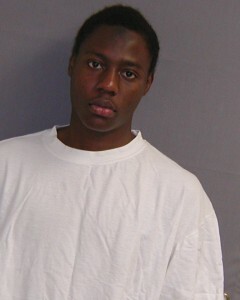 Abdulmutallab told the judge that he understood the charges levied against him by a grand jury in a six-count indictment. After a series of questions from Magistrate Judge Mark Randon, Abdulmutallab’s lawyers informed the court that their client would stand mute — meaning he did not plead guilty or not guilty, but a plea of not-guilty was entered on his behalf by the court. Abdulmutallab, 23, stood in court in khaki pants and an oversize white t-shirt flanked by his lawyer, Federal Defender Miriam Siefer, during the 3-minute arraignment. Posted: 1/8/10 at 4:47 PM under News Story.